Microsoft SharePoint Online has been continuing to revolutionize the way organizations operate since it was first released back in 2013. Not only does SharePoint Online help make your employees more engaged, organized, and productive, but it also provides a secure, cloud-based platform that reduces IT spend and improves overall uptime and availability. As a result, more and more organizations are choosing to migrate to SharePoint Online from their file shares, on-premise SharePoint environments, and/or other 3rd party content management systems. At Imaginet, we have been helping organization successfully migrate to SharePoint Online for over 5 years now, and we often get requests from our clients for assistance in migrating from file shares to SharePoint Online. 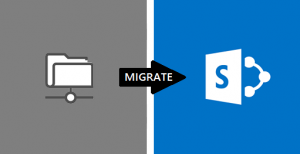 While on the surface this may seem like a trivial migration, we have uncovered 5 key considerations that are essential in properly planning your file share to SharePoint Online migration so you can get the most out of your SharePoint Online investment. 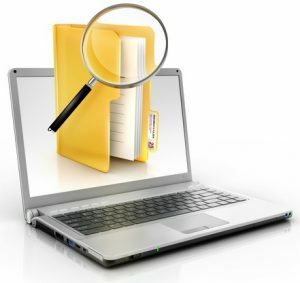 Are you able to quickly find the files you want, when you want… or are stuck using the built-in file search capabilities of operating systems, which are often poor, cumbersome, and not very user-friendly? Are you able to access your content from anywhere, anytime, on any device… or are you limited to using your desktop while at your physical office or to using a slow, cumbersome VPN to gain access to your files? How confident are you in the reliability of your file share? For example, do you only have one network computer running that contains all your files, leaving you stranded if you have a technical issue or outage? What about security? Do you have documents are scattered all across the file share without centralized security control? Do you have to specifically set the permissions on the folder and file level as a manual process, making updates to existing security settings tedious and inconsistent? Deeply understanding your current challenges and pain points with your file share approach is a critical first step in determining exactly how you want to migrate your content and the overall benefits you are looking to achieve with your new SharePoint Online solution. A basic migration of all files from a file share into SharePoint Online is generally straightforward. The hierarchy can be maintained, and search results will improve as SharePoint Online has more power search capabilities, including the ability to search all folders and inside files for keywords. Imaginet recommends using a migration tool such as ShareGate for the file migration. ShareGate will allow you to automate the file transfer and report errors during the transfer (if they exist). It will also allow an incremental move at the end, which allows you to migrate the bulk of files ahead of time and then schedule a small outage to do just an incremental move. Otherwise, your outage could be days and can be disruptive to end users. Migration tools (including ShareGate) also allow the retention of metadata on files. This includes default document properties such as “date created, last modified, created by, etc”. If you don’t retain this metadata and manually move the files to SharePoint Online, your migrated files will show all files being created on the date they were migrated (instead of their original creation date) and all files being created by the same user (whoever did the migration or “System Admin”). It is Imaginet’s experience that organizations coming from file shares rely heavily on basic metadata to help them find the correct content, so the loss of this data can be very frustrating to end users. A better option when moving the file share and keeping the hierarchy in SharePoint Online is to perform a Content Assessment. Most organizations will have a lot of files/documents/artifacts on their file share that are either old, copies of other documents, or are just no longer needed. Before migrating to SharePoint Online, you may want to consider determining which files are actually needed. 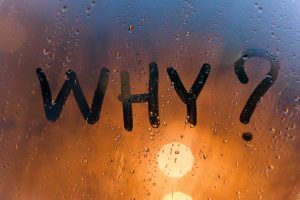 Migrating old/unused/non-relevant files adds to the cost of the migration (and migration time) and also will use up data space in SharePoint Online that end up costing you money. An easy way to do a content assessment is to look at which files have not been accessed for a period of time, i.e. 2 years, and then look at which of those files are still relevant to your business. From there, you can make an educated determination on which files are most critical to include in your migration and which are no longer needed. The easiest way to migrate all your files to Share Point Online is do a “like for like” migration, sometimes referred to as a “lift and shift”. In this type of migration, you are taking the file structure you have currently and copying it into SharePoint Online. This is straightforward to do and is easy for end users, as all their files are exactly where they left them in a set of hierarchical folders. 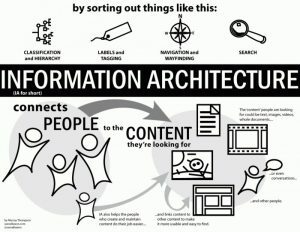 However, the downside to the “lift and shift” approach is that hierarchical folders is not how modern information architectures (IA) are designed. Search in SharePoint Online is optimized for meta data, content types, and a flatter file structure. If you are doing a migration, this is a good opportunity to build a new information architecture to improve the searchability and findability of files. This can be particularly useful if you have a growing workforce or new employees. The employee who originally created the folder structure such as 2015>Clients>Projects>Contracts>Admin>MSA might know that is the place to find the executed MSA for CompanyABC, but new employees might just search for “MSA” or “signed MSA” or “CompanyABC MSA” in the SharePoint search box and might not be able to find the document. If you are using a migration tool such as ShareGate, you can create a mapping to move your files from your current information architecture into a new information architecture while doing the migration. This will save you the time and money of doing a separate information architecture migration later. When it comes to planning your Microsoft SharePoint Online migration, you never want to do it alone. Having a certified SharePoint partner by your side who has “been there, done that” many times before can help ensure a smooth and successful migration while also maximizing the benefits you can get from SharePoint Online. This is where the Imaginet certified SharePoint experts come in. We have helped over 500 customers around the globe with all of their SharePoint needs since the first version of SharePoint was release. And we’re ready to help you, too. Contact us today at info@imaginet.com or 1-800-989-7622 to schedule a free consultation call to get started on your path towards your ideal file sharing and collaboration solution with Microsoft SharePoint Online.